I went to the Maple Fest this past weekend. It was very enjoyable, though I must say I have noticed a similar trend of changes that have happened in the past couple of years. Let me start by reminding people of the questions I've heard so many others ask, especially out of towners: "Where can I buy maple syrup?" "Where are the maple sugar houses?" I'm still unable to answer the fisrt question, and the second one I can answer, but much easily than I would have been able to years ago. Has anyone noticed that the Hebron Maple Festival is becoming less of a treasured social event about maple syrup, and more of a business vendor in downtown Hebron? As much as I love passing by vendors selling treats and goodies, I must say that this shouldn't be sole the focus of the event. 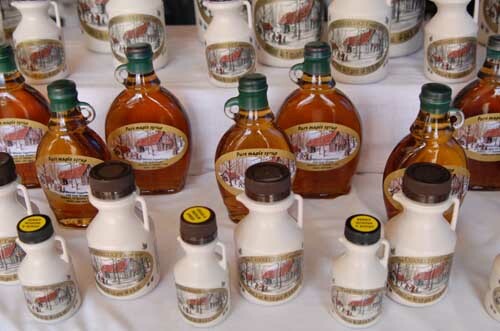 Increasingly over the years, it seems like the vendors have taken precedence over what the festival is truly about: making maple syrup and sugar. Surely, there are still signs of maple sugar making throughout the festival. The maple sugar houses are up and running for people to go to, maple syrup is sold, and there are pancake breakfasts. However, these events are hardly advertised and aren't easily accessible. As early as three or four years ago, when walking around the center of town, people were able to walk up to demonstrations of maple sugar making and ask about how one was able to make maple syrup. I vaguely remember a boy with his parents talking about how it would be interesting to make his own maple syrup from a maple tree after Wayne Palmer had demonstrated how to retrieve sap from a maple tree. Just three or four years ago, people were able to buy maple syrup at a clearly seen booth in the front of town. You could smell the sweet sap of maple sugar in the air. 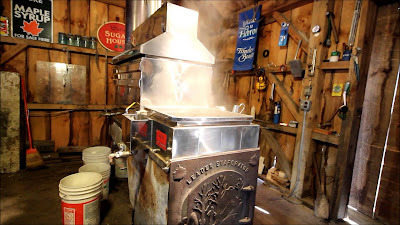 I didn't feel this same passion for maple sugar making as I did in the past, so I must ask, "Where is the passion, and what is the event truly about?" It seems as if the social event itself has dwindled down to various vendors uptown, where all the maple sugar making and teaching has moved to the maple sugar houses. And the maple sugar houses used to be easily reachable: there used to be a shuttle bus that would take people to and from the various spots along Hebron's maple sugar houses and other Maple Fest events throughout the town. This is no longer the case. The shuttle bus has disappeared, leaving the main section of the festival apart from the maple sugar houses. Is it because maple syrup is harder to obtain nowadays? Is the event facing financial issues? Are there different sponsors? I'm sure there are answers to these questions, though I have no idea what they are. In any case, I definitely believe the focus on maple sugar and maple syrup has greatly decreased within the event the past few years. Despite the inconvenience of access to various maple sugar making activities, there is still much to do. People were happy and joyful uptown, there were lots of booths selling food, crafts, and girl scout cookies, and the tractor parade really made a big scene. The girl scouts are always eager to sell their cookies. There were certainly a fair share of events, but there just didn't seem to be a huge passion for maple sugar making. Most of the event has turned into a social event that is set to make a profit, rather than teach the community the historical and knowledgeable aspect of maple sugar making. I must ask, what has happened to the maple festival that teaches families about maple syrup making and that sells maple syrup uptown? Why are we so detached from this knowledge that made the festival important in the first place? I'm not saying "let's get rid of the vendors." I'm just saying we should bring back the education that shaped the event along with the vendors that make it a success. It should be as much an event to commemorate our town, as much as it is an event to raise money. Reaching this compromise would work in the interest of everyone. And the transportation to and from events really did help- it brought the various sites of the event together. Don't get me wrong- I very much enjoyed the event, and I always will. I just feel there are some parts of the event that just fell out the last couple of years, and I believe the event can be made stronger by bringing them back and making the event more of a community event. I must say one last thing... please don't get rid of Mr. Maple Leaf! He brings joy and compassion to many children and families at the event. I hope he, as well as many of these other events that have fallen off the past couple years will return strong as ever in 2016! 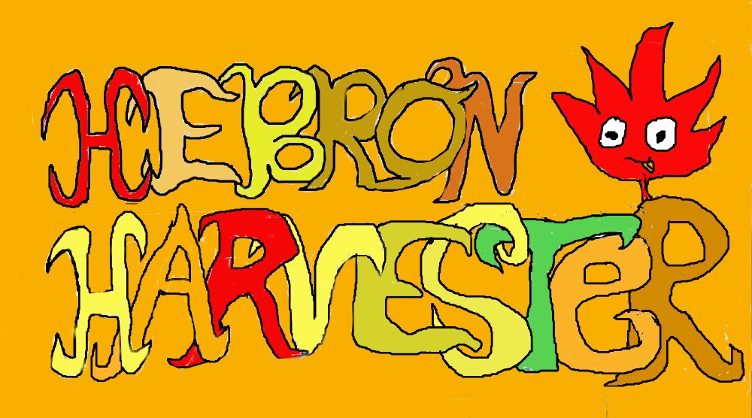 Please share your Hebron Maple Festival memories and pictures here, or email me at hebronmapleleaf@gmail.com. Thank you, and let's hope for another great Maple Festival next year!